Jessica knit this from an Etsy pattern By DahliainBloom. It's her Katniss inspired cowl and we love it! 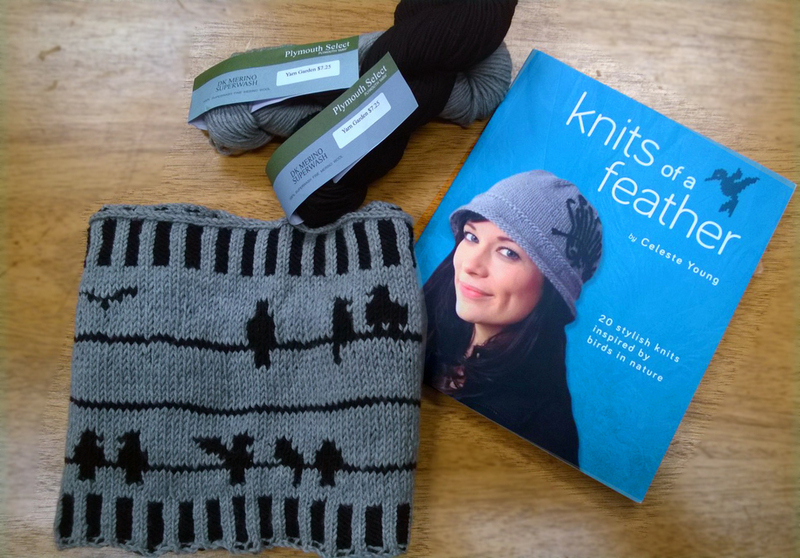 This is Gretchen Ozburn's "Birds on a Wire cowl," from the book Knits of a Feather. She used 3 hanks of Plymouth Select DK (2 grey, 1 black). Here is Cindi Toledo with her first ever finished project! 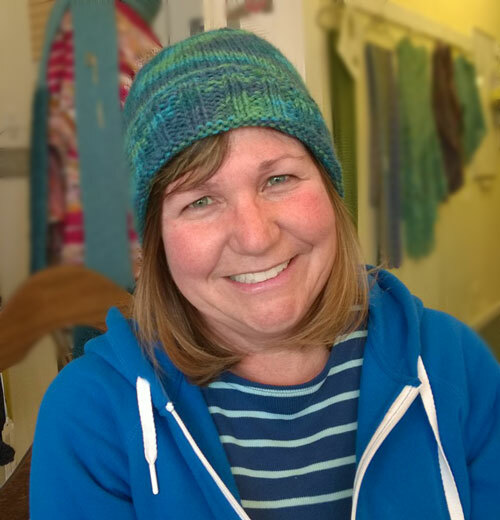 A cute basic hat, knit out of Encore worsted. Gretchen Ozburn's beautiful Ojo de Dios shawl, knit in Plymouth Yarn Gina. It was featured in Interweave Knits Winter 2014, designed by Vanessa Ewing. This is Robin Ireland's first sweater project - what an accomplishment! It's the Tanqueray pattern by Baby Cocktails. This is a beautiful display of the Plymouth Select Merino Superwash yarn. Way to go Robin! 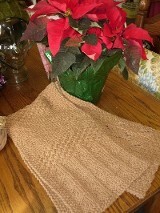 Knitted by Robin Ireland in Blue Heron metallic, Old Gold. 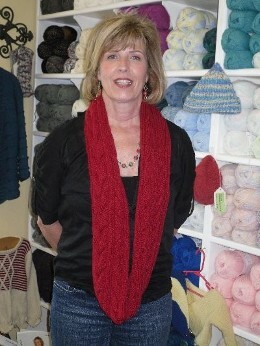 Gail Stansell models her Wingspan, knit with Revel sock yarn. Marcia Anders recently completed this and photos just don't do it justice, so you have to see it in person. 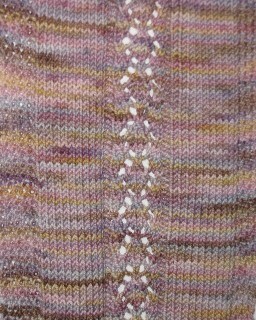 3 hanks Cascade sock yarn, design by Susan Dingle in More than Knots. Toe-Up 2 at a time! Debra Williams completed her first pair of toe up socks, 2 at a time, knit on 2 circular needles after taking the 2 part class with Amanda. 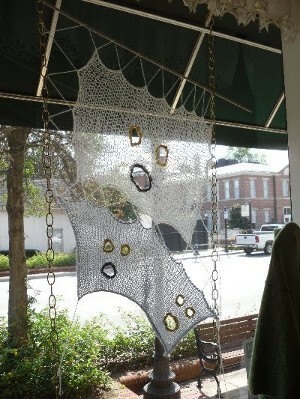 This is Rena Jones modeling the stunning Night Songs shawl she knit using Blue Heron Rayon Metallic. The pattern is available on Ravelry. Thanks for sharing Rena. 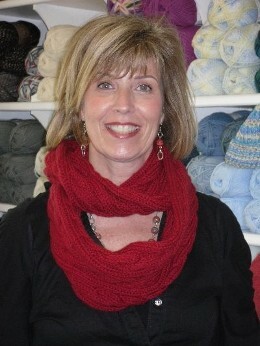 This is Susan Lancaster modeling the Marian Cowl she knit using Debbie Bliss Cashmerino Aran. This could not be more stylish or beautiful! Knit by Karen Collins for a new nephew using Sprout Yarn. So precious! This is Alicia Kincheloe with the gorgeous Earth and Sky Shawl from WestKnits that Alicia knit with Zitrons Unisono and Lifestyle yarns. What a beautiful shawl Alicia! This is Dolores Servellon holding the poncho she knit for her niece Keyla. 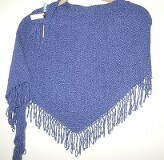 Dolores used Plymouth Encore Worsted for the sweet poncho. Knit with 4 balls of Classic Elite's Chesapeake yarn, a year-round cotton/wool soft blend. 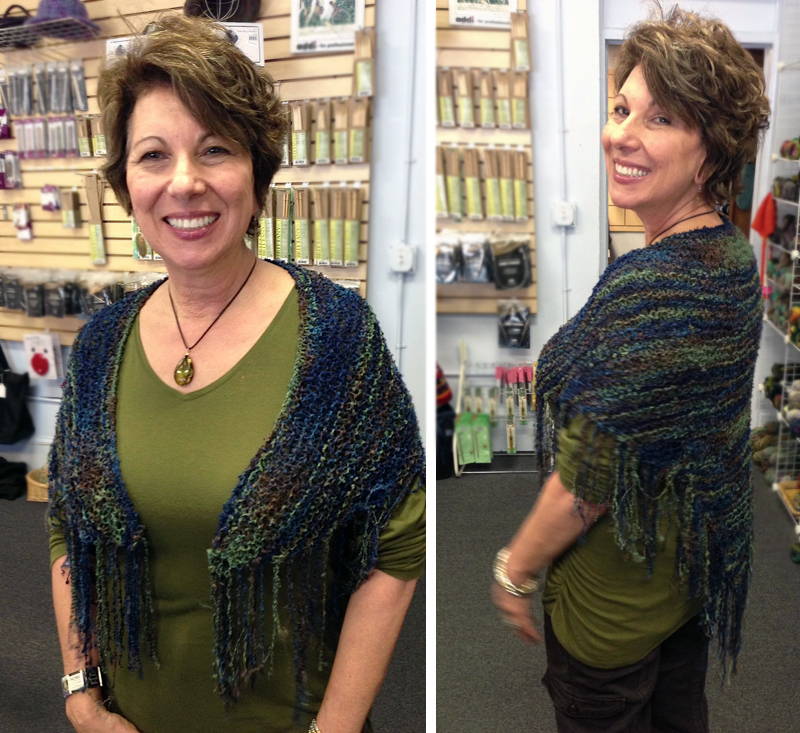 Lori Silver finished this in May 2013 and it looks great on her! 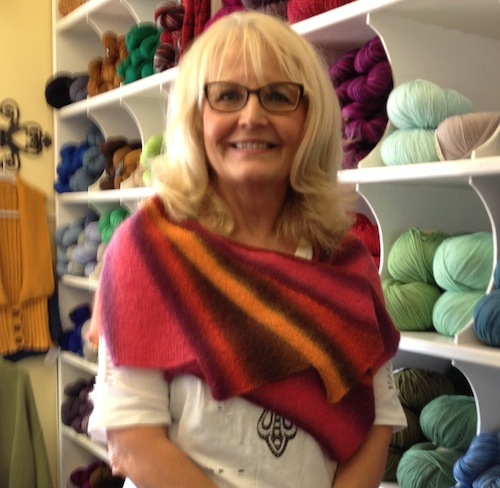 This is Jo Harris from our Thursday morning knit group wearing the stunning Sampler Shawl she knit using Zitron Lifestyle yarn. Her pattern is from the Folk Shawls book. It is breathtaking Jo! Knit in Berroco Comfort yarn by Judy Shannon.